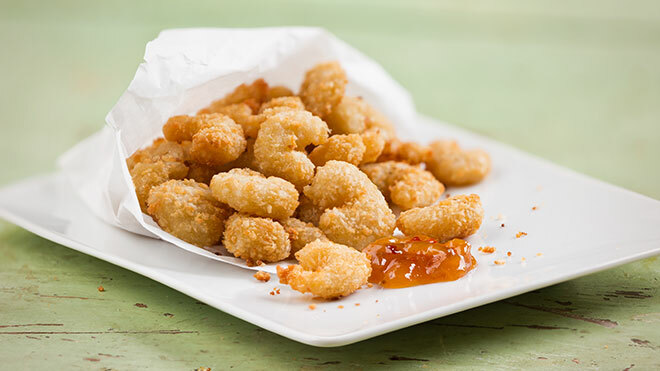 Enjoy restaurant-style butterfly breaded shrimp at home! Crunchy on the outside, tender and succulent on the inside. 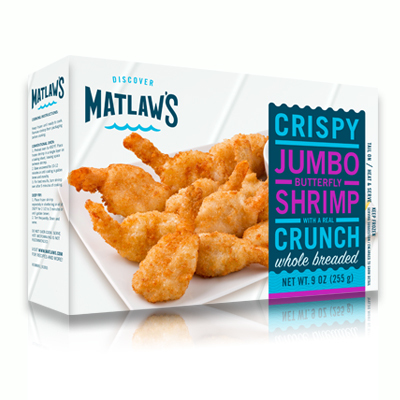 Each juicy shrimp is delicately battered and then cooked to a perfect, crispy crunch. 2. Bake uncovered for 10-12 minutes or until coating is golden brown and crunchy. 3. For best results, turn shrimp over after 5 minutes of cooking. 1. Place frozen shrimp separately in shortening or oil at 350°F for 2 1/2 to 3 minutes or until golden brown.